Y.S. Park continues to amaze us with his simple yet innovative ideas to improve the lives of hairdressers and increase the efficiency and accuracy of their work. The Y.S. Park Guide Combs are made from polyetherimide plastic that is both chemical- and heat-resistant to temperatures up to 430° F. The Y.S. Park Guide Combs have an embedded built-in ruler on the side of combs to give you precise measurements. 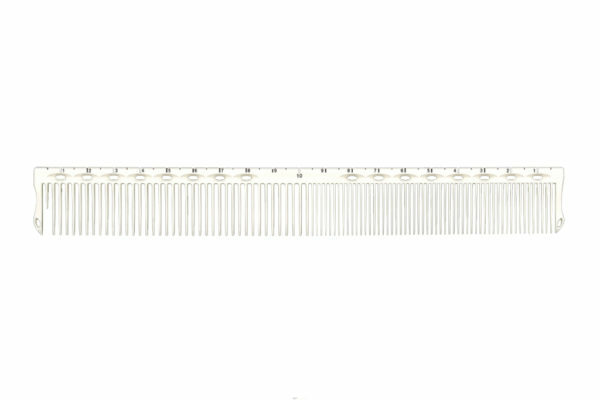 The GI01 Guide Comb is similar to the 101 Tail Comb but includes Inch measurements.